#Chomsky: Arrest of #Assange Is “Scandalous” and Highlights Shocking Extraterritorial Reach of U.S. | Democracy Now! 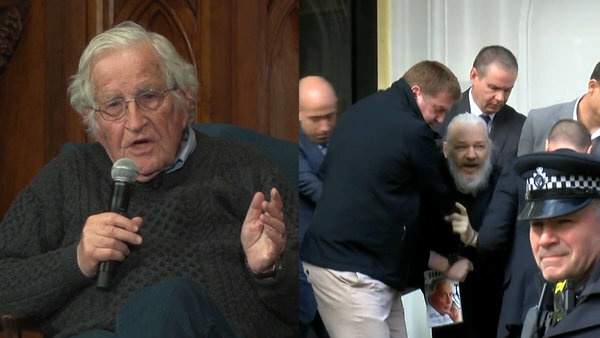 NOAM CHOMSKY: Well, the Assange arrest is scandalous in several respects. One of them is just the effort of governments—and it’s not just the U.S. government. The British are cooperating. Ecuador, of course, is now cooperating. Sweden, before, had cooperated. The efforts to silence a journalist who was producing materials that people in power didn’t want the rascal multitude to know about—OK?—that’s basically what happened. #WikiLeaks was producing things that people ought to know about those in power. People in power don’t like that, so therefore we have to silence it. OK? This is the kind of thing, the kind of scandal, that takes place, unfortunately, over and over. After Lula’s—after he left office, a kind of a “soft coup” take place—I won’t go through the details, but the last move, last September, was to take Lula da Silva, the leading, the most popular figure in Brazil, who was almost certain to win the forthcoming election, put him in jail, solitary confinement, essentially a death sentence, 25 years in jail, banned from reading press or books, and, crucially, barred from making a public statement—unlike mass murderers on death row. This, in order to silence the person who was likely to win the election. He’s the most important political prisoner in the world. Do you hear anything about it? Well, Assange is a similar case: We’ve got to silence this voice. You go back to history. Some of you may recall when Mussolini’s fascist government put Antonio Gramsci in jail. The prosecutor said, “We have to silence this voice for 20 years. Can’t let it speak.” That’s Assange. That’s Lula. There are other cases. That’s one scandal. The other scandal is just the extraterritorial reach of the United States, which is shocking. I mean, why should the United States—why should any—no other state could possibly do it. But why should the United States have the power to control what others are doing elsewhere in the world? I mean, it’s an outlandish situation. It goes on all the time. We never even notice it. At least there’s no comment on it . Je sais bien que ce n’est par pour ça, tous ces efforts, mais c’est aussi pour ça : #viol. The non-entrée regime can be described as a series of policy measures introduced by western states from the 1980s onwards, aim ed at preventing asylum seekers from entering their territory and claim ing asylum. This regime, we shall see, is closely linked to the rise of the extraterritorial asylum agenda and has been a response to the sweeping and global economic and political changes of the last three decades (Crisp 2003b). L’asile a historiquement toujours été lié à un territoire bien défini et nous sommes encore loin aujourd’hui d’un droit humain universel à la protection. La nécessité pour les réfugiés d’entreprendre de dangereux voyages, tout comme la résurgence récente des murs et des frontières, en sont les tristes conséquences. Emmanuel Macron et #Tom_Enders au salon du Bourget le 19 juin Alors que les pouvoirs publics découvrent avec retard la gigantesque affaire de #Corruption qui menace #Airbus, de nombreuses questions se posent sur le rôle et les méthodes de John Harrison, directeur juridique du groupe #aéronautique dans le dossier. D’autant qu’il a un précédent : il était directeur juridique chez #Technip, ébranlé lui aussi par les affaires et passé sous contrôle américain depuis six mois. The 8km law, that we wrote about earlier, took effect on the 5th of July. 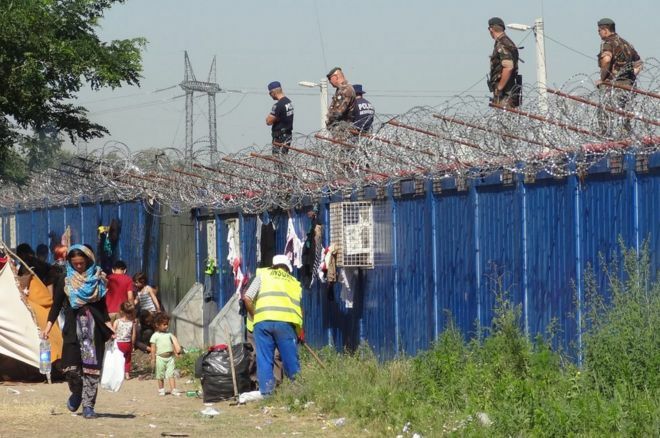 According to the legislation, anyone who is caught within 8m on the Hungarian side of the border fence may be “escorted” back to the Serbian side of the fence. 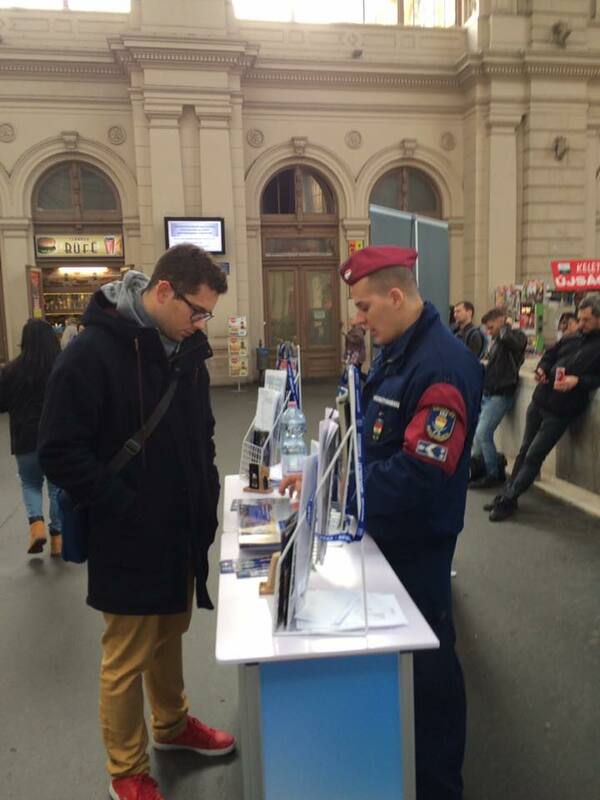 This legalizes the pushbacks of people to the Serbian side and severely restricts people’s right to seek asylum. In practice, those caught and pushed back are not given a chance to ask for asylum, which is contrary to international law. 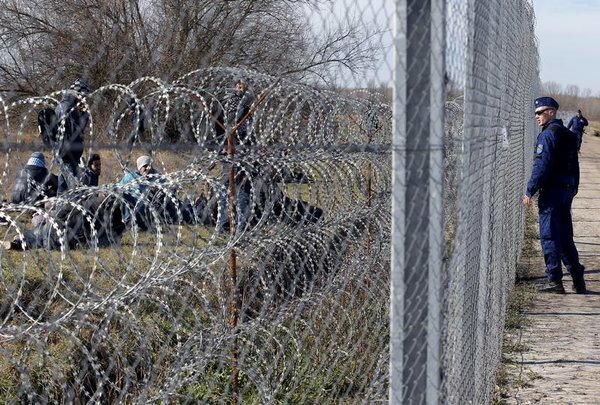 We find it cruelly ironic that at the same time the Fidesz government claims that the border fence is working, the Hungarian authorities are cutting holes to this fence in order to push people back to the Serbian side. The results of the law have been catastrophic: the number of people waiting at the transit zone to apply for asylum at the border has doubled. 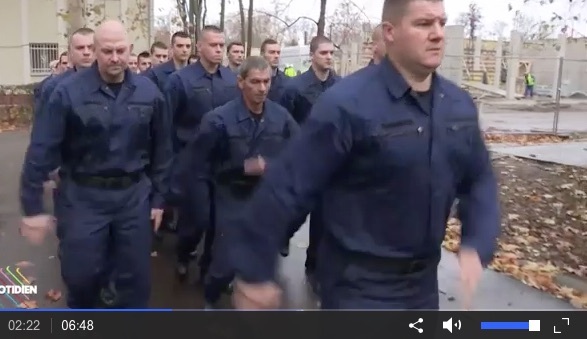 There is no legal help available, civilian volunteers and activists have limited access, and the living conditions are abysmal, as this video from Migszol Szeged also shows. The hearing of Ahmed H.
We arrive at the Szeged courthouse with cramps in our stomachs – we don’t have much experience in attending trials, plus we’re not even sure we’ll be allowed in, after all as we know today will be the continued hearing of an especially dangerous man, Ahmed H., charged with terrorist activity. Worrying amendments to the Hungarian Asylum Act and the Act on the State Border entered into force on 5 July. According to the new changes, Hungarian police are now allowed to automatically push back asylum seekers who are apprehended on Hungarian territory within 8 km from either the Serbian-Hungarian or the Croatian-Hungarian border. (Budapest) – Hungary is keeping many of the most vulnerable asylum seekers stranded on its border in poor conditions for weeks while they wait to enter the country and file their claims. Some said that border officials had used excessive force against them. This is a Migszol update on the general asylum situation in Hungary between 4th July - 4th August 2016. For information for people seeking asylum, please see the information provided by the Hungarian Helsinki Committee in here. The Hungarian police is recruiting 3,000 “border-hunters” to join some 10,000 police and soldiers patrolling a razor-wire fence built to stop refugees crossing the border from Serbia. The recruitment posts are scattered all over Budapest, including the Keleti Railway Station that became a de facto refugee camp for tens of thousands of people fleeing violence in the Middle East and Afghanistan in the summer of 2015. Formés en six mois, ces flics spéciaux vont gonfler le dispositif dilligenté par la Hongrie le long de sa clôture avec la Serbie. Pour appâter du jeune, l’unité se dévoile entre mini-reportages, photos et démos. Ces nouveaux gardes-frontières ont été institués par le Premier ministre Victor Orban et leur nom fait polémique. Les défenseurs des droits de l’homme y voient un sous-entendu de “chasse aux migrants”. De leur côté, les autorités hongroises démentent tout sous-entendu dans l’intitulé des nouvelles unités spéciales de gardes-frontières. À terme, en 2018, 3 000 “chasseurs à la frontière” devraient être déployés en Hongrie. 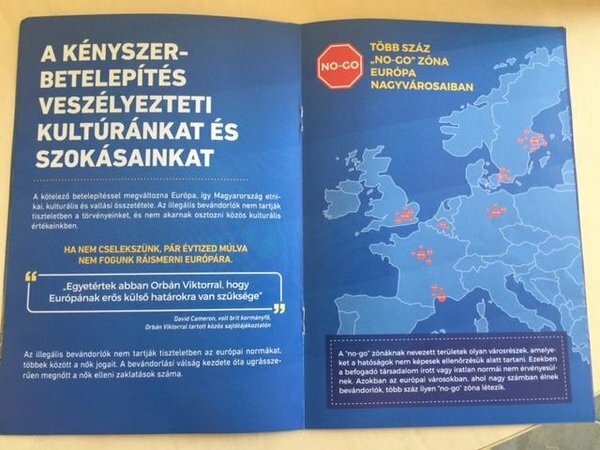 La politique du gouvernement de Victor Orban, notamment vis-à-vis des migrants, suscite l’inquiétude du Parlement européen qui s’est prononcé la semaine dernière pour le déclenchement d’une procédure de sanction contre la Hongrie. “Every night ten boats carrying at least 30 people arrive on our shores,” says Mansour Kamardine, Mayotte’s deputy in France’s National Assembly. “It is absolutely intolerable.” Many of those arriving are pregnant women. Every year, 70% of the 10,000 births in the island’s sole maternity hospital are to illegal migrants. France’s policy of droit du sol (birthright citizenship) means they are entitled to French nationality. French officials are considering making the hospital a non-French territory. Et la tentative de modifier la ligne frontalière à #Ceuta et #Melilla (#Espagne #Maroc) afin de permettre les #refoulements_à_chaud (#push-back #refoulement). Despite the concern over Hungary’s slide into authoritarianism the E.U. is silent over human rights violations against refugees. Budapest-based researcher Felix Bender explains why. 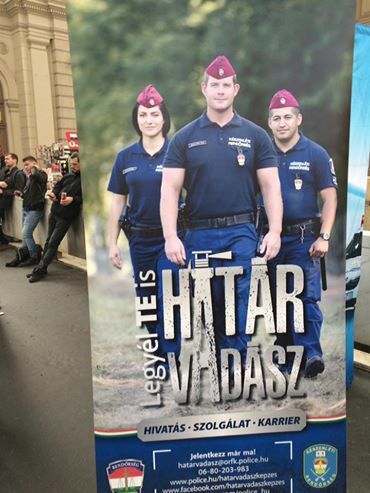 The Hungarian border is now patrolled by a specially formed police unit that bears the official name of “border hunters” and by uniformed private vigilante groups. They go on the hunt for refugees. A recently adopted law allows for these hunts. A refugee may be apprehended anywhere in the country and be pushed back to Serbia without being able to launch an asylum procedure. 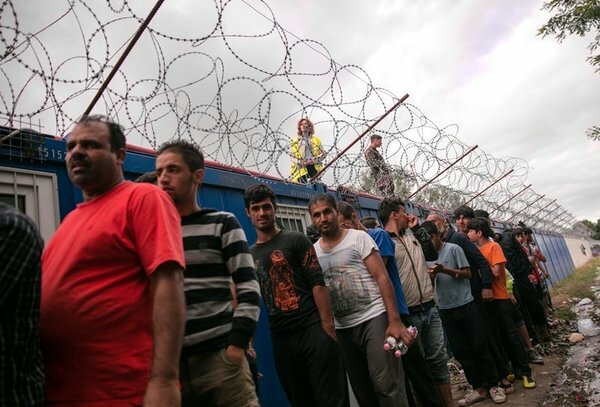 Those who do enter Hungary through one of the two transit zones may apply for asylum. Yet even their chances are slim. Only two people are allowed to enter every day – one per zone. This means that families must remain on the other side of the border. In times past we might have called these zones concentration camps. Now the barbed-wire-surrounded container camps that are guarded by men with guns are not referred to as such. It is a sad “win-win” situation. Orban is allowed to prove that he is the sole protector of Europe’s “homelands and Christian culture,” as he has proudly said in his latest address to the nation, while politicians such as Angela Merkel may simultaneously proclaim that in their countries the right to seek asylum represents a fundamental principle that allows for no compromise. At the same time that politicians such as Merkel polish their shining armor, the dirty job done at Europe’s periphery shelters them from actually having to apply their principles on their own territory. Depuis quelques années, les États adoptent des politiques qui cherchent à séparer l’admission des réfugiés sur le territoire d’un État et l’attribution du statut de réfugié. En Europe, ce genre de politique est désigné par le terme #externalisation. Cependant, par souci d’objectivité, nous avons choisi d’employer le terme extraterritorial. En effet, l’expression externalisation comporte en elle-même la critique de son objet. En Europe, aucune politique qui dissocie l’attribution du statut de réfugié et l’entrée sur le territoire d’un État n’a été mise en place, toutefois, cette idée fait partie des réflexions institutionnelles et elle reste un objectif de l’agenda européen. Ce mémoire cherche donc à analyser la proposition de traitement extraterritorial des demandes de statut de réfugié, faite en Europe, au regard de l’obligation la plus contraignante au sein du droit international des réfugiés : le principe de non refoulement. En ce sens, il sera nécessaire d’analyser l’étendue ainsi que les limites du principe de non refoulement, au regard de l’interprétation et de la mise en œuvre qui en sont faites. Ce mémoire démontrera que derrière une vive polémique sur la question, la proposition de traitement extraterritorial des demandes de statut de réfugié est compatible avec l’article 33 alinéa 1 de la Convention relative au statut des réfugiés. In the present moment of history, when the process of human globalization seems to have just begun, the politics of fear expressed by the richest nations especially in Europe has lead to the end of the universal promise of hospitality and the right to asylum. Affluent countries wall themselves in, keeping out undesirable foreigners whom they consider as enemies, culprits or victims. Consequently refugee and IDP camps, clandestine encampments, urban invasions, that is to say, all places of refuge, become a part of habitat and living.